There's obviously a lot of shearling. 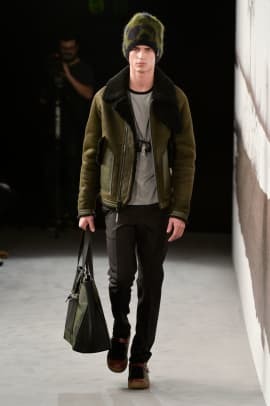 Coach debuted its first full ready-to-wear collection for men on Friday at the former Central Saint Martins college in London. 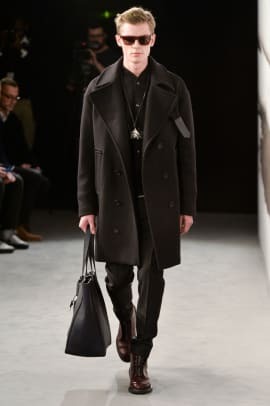 The all-American brand announced in December that Creative Director Stuart Vevers would be giving menswear the same high fashion treatment he debuted with womenswear for fall 2014. 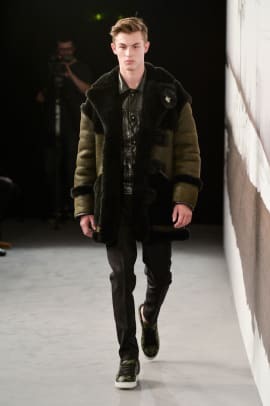 Vevers kept the most successful elements of his women&apos;s fall offering — bomber jackets, bulky shearling coats and hiker boots — and gave them a masculine bent in even bulkier cuts and darker colors. 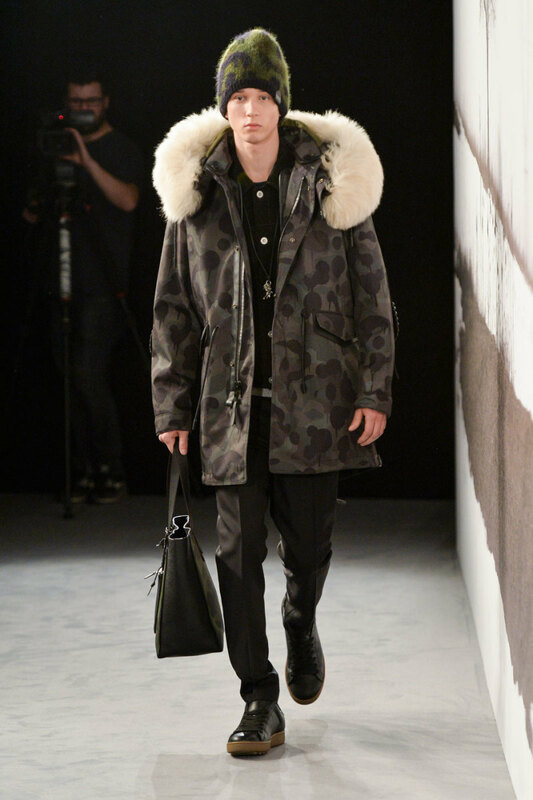 More traditional peacoats featured leather accents or a pop of paint-splatter/leopard lining, a prominent pattern also used on parkas, jackets and knits. And, of course, there were jackets in Coach&apos;s classic brown leather. Vevers told WWD that the collection was inspired by the aesthetic of Gus Van Sant&apos;s "My Own Private Idaho” and functional winter street style in the designer&apos;s new home, New York City. "New Yorkers are quite practical, and they don’t sacrifice function," he said. “There are no tricks — the collection is straightforward with honest construction." And this isn&apos;t even Coach&apos;s first big news of the year: The company announced Tuesday that it is acquiring Stuart Weitzman for a cool $574 million, which will hopefully buoy them through Vevers&apos; brand refresh. 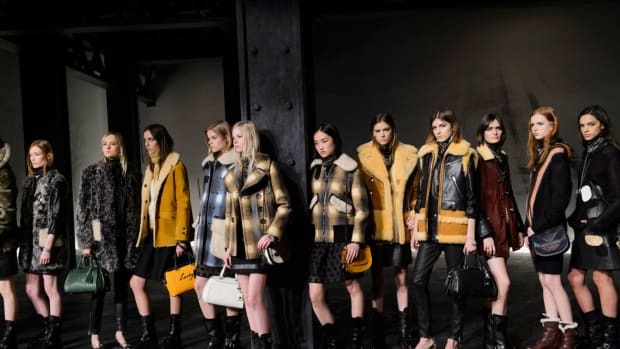 The decision to show this menswear collection across the pond in London, alongside more risk-taking designers, is indicative of Coach&apos;s efforts to resonate with fashion-forward customers. But will it translate into increased sales? Read on to see the collection in full. Creative Director Stuart Vevers plans to introduce an expanded menswear range in a high-fashion context, as he did for womenswear a year ago. It will be the brand's first standalone store in France. It's an exciting format for Demna Gvasalia's menswear debut at the brand. 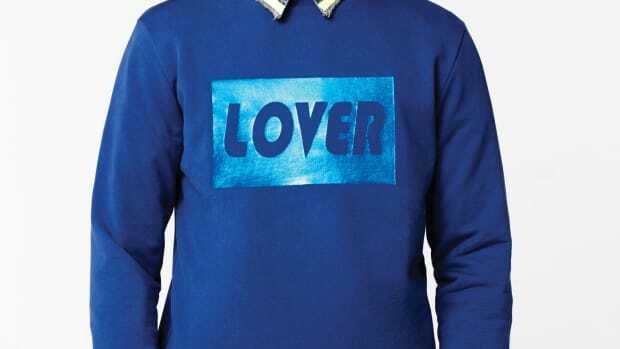 The collection will bow simultaneously during "London Collections: Men" and on shop floors around the world on June 14.